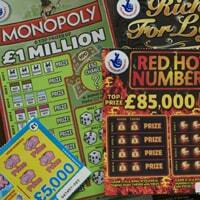 You can get 30 free scratchcards meaning you will have 30 chances of winning big. All you have to do is follow our link, register on the new lotto site, deposit just £1 and get 30 scratchcards for free. Click on “GET IT HERE” button and then follow instructions given above to join and try your lucky.